After the title German Chamion in 2011 and southern German Champion in 2012 the question was how the German Championship would be. The school Werz started with several groups in the different disciplines. They all reached phantastic success. Gold in Video Clip Dance Small Group Adults A and .... Gold in Hip Hop Adults! 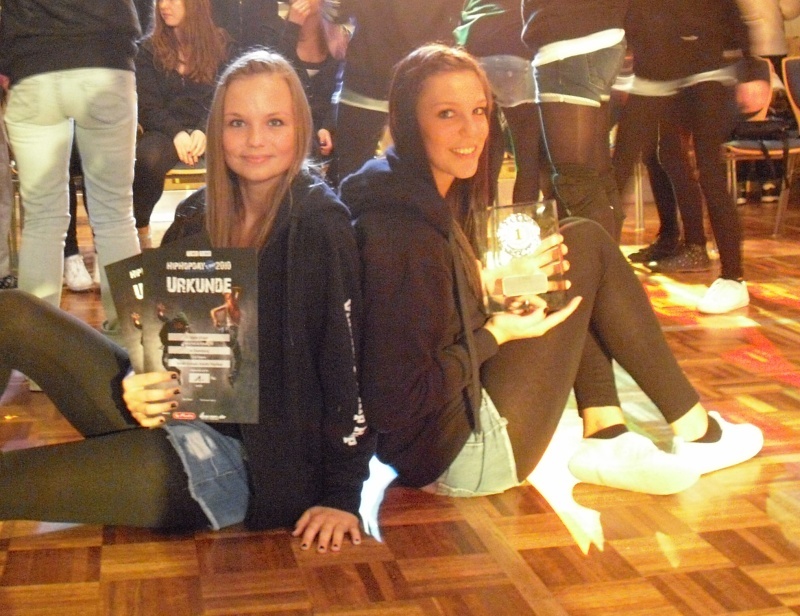 Vera and the other girls of the team "Independent Steps" of the dancing school Werz Pfullingen were successful again: German champion Hip-Hop. On June 4th, 2011 the result of the German championship were: Video-Clip-Dance "only" 4th rank, but then they won Gold in the Master class of Hip-Hop. In 2010 the dream began: Vera and her friend Jule won Gold in Video-Clip-Dancing. 2011 continued the story: In the South-German Championship they won Gold in two disciplines. In 2012 the training was restricted by her studies, anyhow... again Gold. Source Reutlinger General Anzeiger GEA. All rights remain at GEA. Some more success on the Hip-Hop-Day 2010: 1.rank in Formation Adults, 1. rank in Small Group Adults, 2.rank in Video Clip Duo Adults.